If you want to increase the mobile battery lifetime of your iPAQ order and carry a spare replacement battery. Having a spare battery allows you to keep one charged up and ready to go whenever you need it. 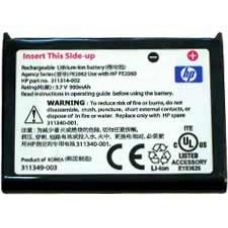 Exact replacement for the following HP battery part numbers 311314-001, 311314-002, 311340-001, 311349-003 and 35H00014-00. Agency Series PE2062 Use With PE2060 Suitable for all the 1900 range including the 1910, 1915, 1920, 1930, 1935, 1937, 1940 and 1945. * Brand New Replacement Part.